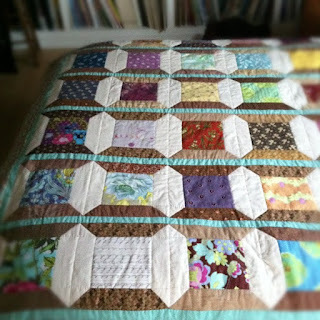 Slate Falls Press: Phoebe's Spool Quilt Day 26~ Now we are getting somewhere. Phoebe's Spool Quilt Day 26~ Now we are getting somewhere. Block by block... now we are getting somewhere. 12 of the 35 blocks are now quilted. Onward!